In order to effectively prevent theft, you need to identify where the initial losses are coming from. According to the National Retail Federation, theft in retail can be attributed to customers, employees, and other individuals, such as suppliers and contractors. It’s estimated that almost 37% of losses in the U.S. are the direct result of shoplifting for resale or for personal use. Similarly, employees are responsible for 30% of retail shrinkage through stealing or “sweethearting” (giving merchandise away to family and friends). The other 33% is caused by administrative errors, and contractors and suppliers that overcharge for their services. Installing an efficient POS system is a vital step for businesses because it helps them prevent theft and manage their inventory and contracted hires properly. Your staff is the first line of defense when it comes to preventing theft. Therefore, you need to teach your employees how to identify shoplifting by pointing out peak hours for theft, typical shoplifting behavior, and popular methods for retail theft. 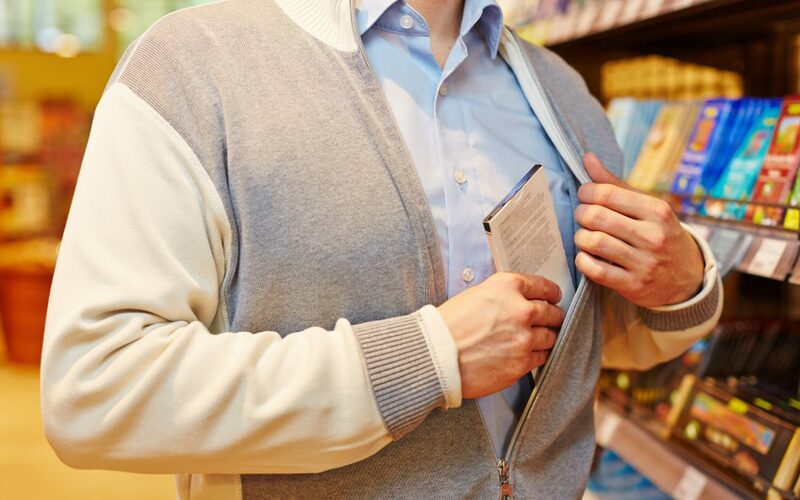 Sometimes, all your staff has to do is ask the shopper if they need assistance—which in most cases is enough to prevent a would-be shoplifter from committing the crime. Employees that are more likely to steal will often be deterred by a business that takes proactive measures against employee theft. By making it a point to track inventory regularly, you’ll be sending the message that you are well aware of the events going on behind the scenes of your business. Another effective way to discourage theft is to install a surveillance system. Video surveillance communicates to employees, customers, and any other potential shoplifters that the store is always being watched. Whether you install a basic system or a more advanced one, you’ll be able to track each person’s movements throughout the store, and you can effectively crack down on any theft that is currently taking place. We hope these four strategies will help you protect your business against theft. Start by strengthening your POS system with the help of our team at American Verification Processing Solutions. Contact us through our website or give us a call at (800) 719-9198 to learn more about our payment solutions!